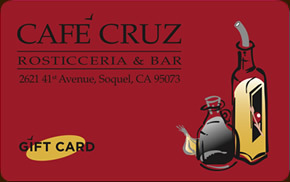 If you are interested in hosting a larger party, Cafe Cruz is a great place to go. Our lush garden room seats parties of up to 32 guests. For reservations please call us at (831) 476-3801.